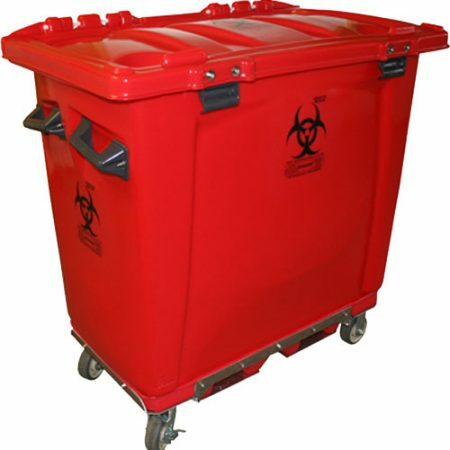 Continuing our tradition of serving Medical Waste Transporters we are proud to announce our partnership with Curtis Bay Energy to provide high-duty medical waste carts and containers. Unifuse has worked closely with Curtis Bay to develop the cart that works best for them. We have also aided them in reducing their own waste stream by providing carts with a longer service life and replaceable components. Our MW 201 bulk transport carts have been in use with Curtis Bay for years without a warranty failure and they have reduced their expenditures by properly using a waste cart that will not fail under daily use. This entry was posted in Unifuse News. Bookmark the permalink. Follow any comments here with the RSS feed for this post. Both comments and trackbacks are currently closed.